﻿ Best Price on Mahona Boutique Hotel in Las Terrenas + Reviews! Located in Las Terrenas, a 4-minute walk from Pueblo de los Pescadores, Mahona Boutique Hotel has an outdoor swimming pool and rooms with free WiFi access. 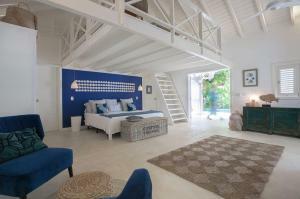 Featuring a concierge service, this property also has a restaurant and a terrace. Guests can use a garden. At the hotel, every room has a balcony with a pool view. Featuring a private bathroom, certain accommodations at Mahona Boutique Hotel also offer a patio. All rooms will provide guests with a fridge. - A deposit of 50% of the requested stay is required by bank transfer. The property will contact you after booking. The remaining balance is to be paid upon arrival at the hotel. - Last minute bookings are exempted from this deposit - all payment will be made upon arrival at the property. Please inform Mahona Boutique Hotel of your expected arrival time in advance. You can use the Special Requests box when booking, or contact the property directly using the contact details in your confirmation.